The Rhode Island Department of Transportation (RIDOT) today announced it will temporarily close a section of Old Great Road in North Smithfield, where it passes underneath Route 146, on Wednesday, January 23. The bridge over Old Great Road is part of a $7.1 million multi-bridge project for minor repairs that will extend the service life of these structures and avoid more costly bridge rehabilitation or bridge replacement projects. The roadway under the highway is too narrow to allow contractors to work on the bridge while keeping it open to traffic. 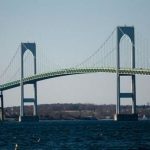 By closing the bridge, RIDOT will be able to safely and quickly complete the initial phase of repairs in about three weeks. Another brief closure is possible in the spring to complete the work. All schedules are weather-dependent and subject to change. 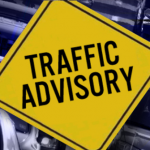 During the construction, all traffic will be required to follow a detour using Route 146A (Victory Highway/North Main Street, Route 5 (Central Street) and Providence Street in nearby Massachusetts. About 2,200 cars per day use Old Great Road. The project will address seven bridges, six in North Smithfield and one in Providence. Tasks vary from bridge to bridge, but may include joint replacement, bridge washing, painting, deck repairs, superstructure repairs, substructure repairs and culvert repairs. Any traffic impacts associated with the other bridges will be announced well in advance.The project for all bridges in this contract is scheduled for completion in Spring 2021. The Route 146 Area Bridges Contract 1 Project was made possible by RhodeWorks, RIDOT’s ongoing commitment to repair structurally deficient bridges and bring Rhode Island’s transportation infrastructure into a state of good repair, promote economic development, and create jobs.